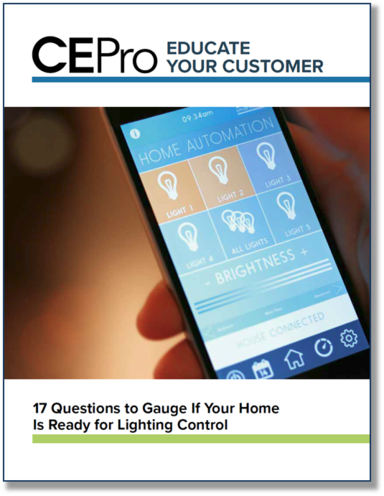 If your customers have been debating whether or not to make the investment in lighting control, here's a free guide to help. So your customer is wondering if they are ready for a smart home? 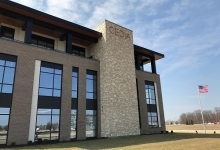 One of the most popular and practical of all automation subsystems, an architectural lighting control system enables all types of light sources, including incandescent, compact fluorescent, halogen, and LED, to be dimmed and brightened to prescribed levels to achieve greater energy savings, provide visual interest, enhance security, and set the mood for certain occasions. When managed by a home automation system, the operation of a home’s lights can be synchronized with other subsystems. This provides even greater benefits; for instance, the lights can turn on and off according to the settings of a security system or the position of motorized draperies. The lights can even be programmed to change color. Lighting control is one of the quickest and easiest ways to introduce customers to the smart home experience.